Disporum is a genus of about 20 species of perennial flowering plants, found in Asia from northern India to Japan. 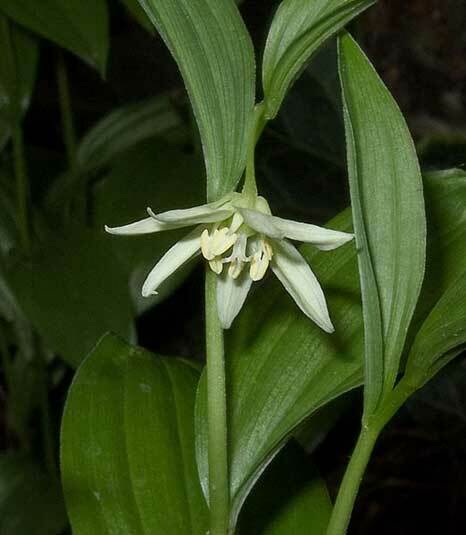 The genus previously included five species in North America, but these have been separated as the genus Prosartes D.Don and moved to the family Liliaceae in accordance to differencies in karyology and chemistry as well as results from molecular systematic investigations. This plant is a rizome that resembles 'Solomons Seal'. It is a clumping perennial. It grows to 30cm in height, is Spring flowering and has 1cm white tubes in clusters up the stems. Disporum requires cool shady conditions. Frost hardy and winter dormant.